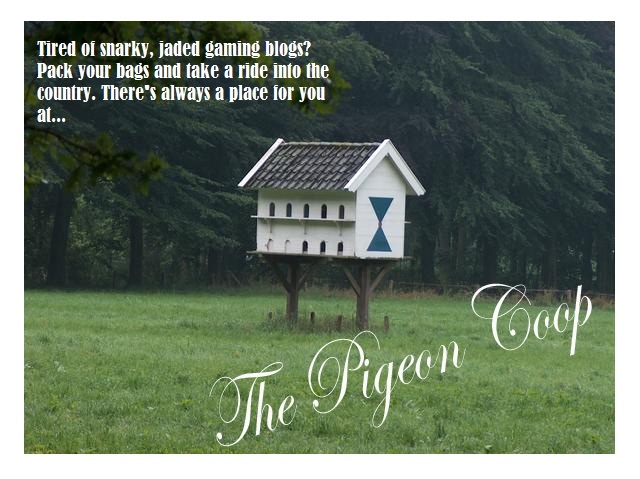 The Pigeon Coop: Been a While, Eh? Judging from the date of this post, it's painfully obvious that I haven't been keeping up with the Coop in quite some time. Alas, becoming a full time college student has revealed to me just how horrible I am at time management. And for that, I apologize. I will say, however, that I still would like the Coop to become a fixture on the Internet. I don't know where or when this will happen, but I will continue to work hard and educate myself until it does. In the meantime, keep checking back every now and then. Perhaps I'll finally get this scheduling thing down and actually find time to contribute! Thanks for your understanding, Birds! It's really nice that you too some time out to write for us. I look forward to more of your posts and sharing of information that relates to the coop for learning of all of us.